This tips is for any store owners, especially for PrestaShop owner. On average, if you display customer reviews on your online shop, it will improve the conversion rate by almost 40% (based on some prestige organization's study). This figure should be enough to convince you to put product reviews/comment function on your product pages. Agile product reviews/comments for PrestaShop can help you to empower your product review/rating on your online PrestaShop store and increase customer's confidences of to purchase your products. * Display latest a few reviews on home page, that will keep your site being updated, it will attract search engines to visit to index more pages of your store, that will increase exposure of PrestaShop store. * Configurable of waiting time to wait for next post, by seconds. I suggest you moderate all reviews to filter out spammers. 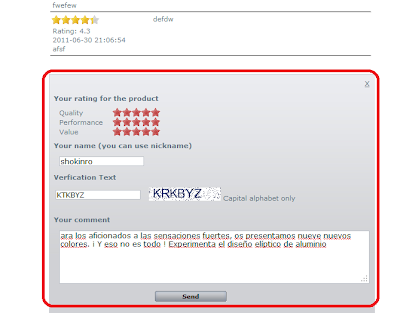 This feature will give you an alert email whenever some one post a review on your products. allow you moderate the reviews in timely manner. 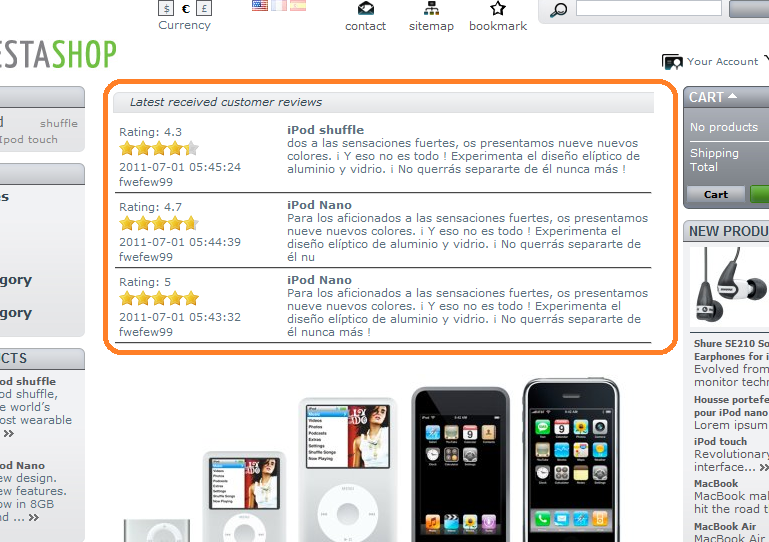 This feature will also increase anti-spam function of the review/rating. protect your site from spammer reviews/comments. This make it easier for you to use the module by just change name of criteria, you can use it right away after installation. It also allow you add to remove criteria to fit your own needs. It is language sensitive. This give you flexibility of the review criteria. 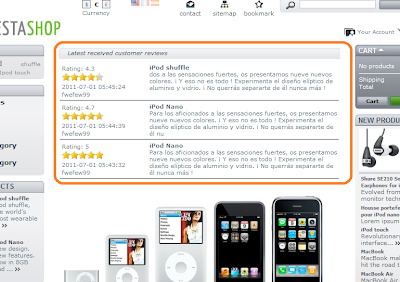 You can set different review criteria for different product or different category of product. 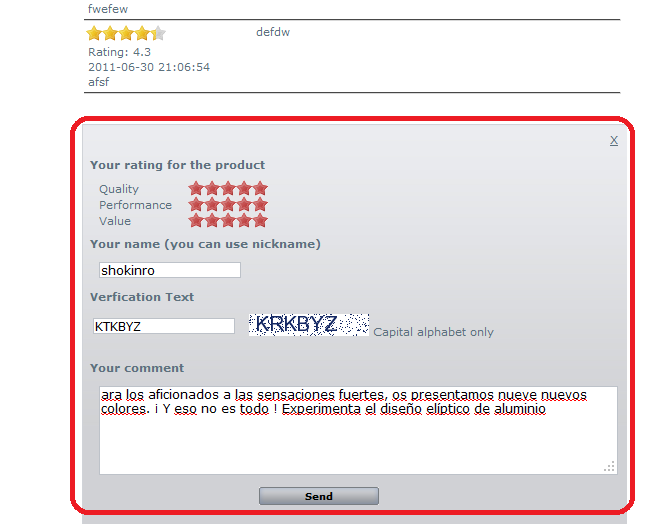 Let the great Agile Product review/comment/rating module help attract more customer and increase your sales.